While it is not difficult to find data in many cases, what advice can you get on the quality of the data retrieved? Chemical Information for Chemists could help with this problem and more. This book is a chemical information book aimed specifically at practicing chemists. 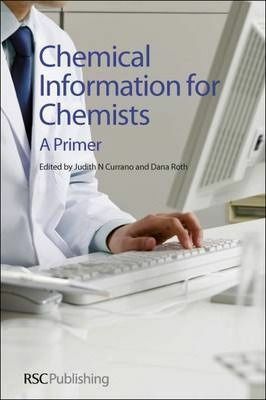 Written and edited by experts in the field, it is ideal for chemists who lack a chemical information professional able to teach basic and intermediate techniques in retrieving and evaluating information using the unique entry points of the chemical literature, including structure, formula, substructure, and sequence. Aimed at students on undergraduate and graduate courses, it could also be a useful guide to new information specialists who are facing the challenging diversity of chemical literature.